Guns, guns, and more guns aren’t enough to fill the void that Sabotage leaves the audience. This is the type of action movie that makes one realize that action movies, too, need some form of solid plot to appear coherent to its audience. Thus is the case with David Ayer’s Sabotage. Now historically, action films aren’t known for their well-developed story lines. Their claim to fame is over-dramatic one-liners, explosions, and testosterone-induced fight scenes. However, there needs to be somewhat of a solid story line that the characters can ride with until the end. Sabotage is filled with all of these elements, but lacks purpose. 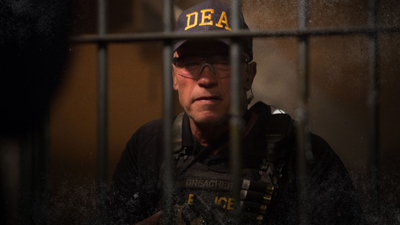 John “Breacher” Wharton (Arnold Schwarzenegger) heads a squad of jagged DEA agents. After an operation with a dangerous drug cartel results in the loss of $10 million of government money, Breacher is stuck with a desk job, and his crew is ousted from the agency. After 6 months the crew is granted their jobs with the DEA once again, but once the question of the money arises the crew starts dying off in ways that resemble cartel type executions. It’s up to Detective Caroline (Olivia Williams) and Breacher to put an end to the massacres before they’re next. The story is as weak as the blatantly obnoxious Pabst Blue Ribbon beer product placement in the film. The purpose of the film is non-existent, and it trudges along with the forced angst that these characters exude. The question of the money’s location arises infrequently, which results in the audience losing clarity on what is actually occurring in the film. Now, action films aren’t supposed to be filled with logical character development, but it would provide some sense of understanding if the audience even knew what bonded these characters together to begin with. 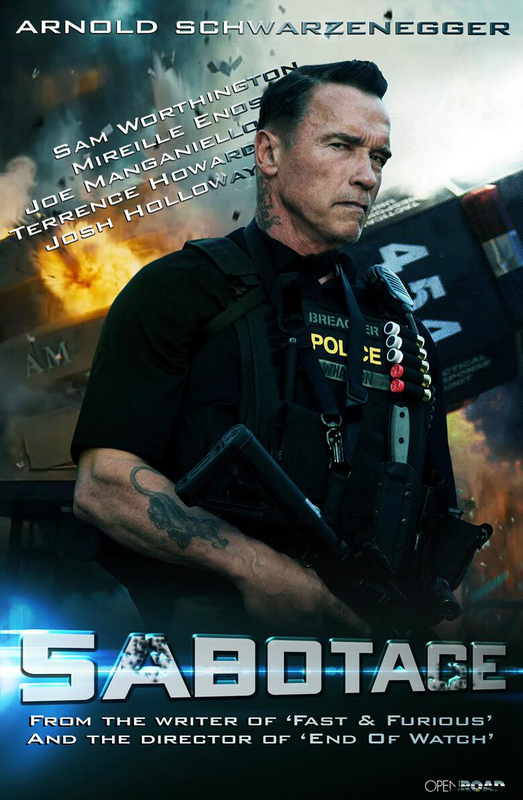 Not much positivity can be salvaged with Sabotage, as the film appears to serve as a random instance of a steroid-injected idea lead by a guy with an Austrian accent. The film isn’t worth the money spent on a ticket, and one would be confused as to why the production company spent $35 million on a film that could have been filmed on a lower budget. In return, Sabotage would have found a more favorable audience on public access TV. Sabotage isn’t worth the wait, and I’m sure there are many more to come with the summer months on the way. Sabotage opens today in Philly area theaters.